Prior to rebuilding your piano, you will require a thorough examination of its structural, mechanical, and acoustic properties. In a newer instrument, the need for regulation or voicing may need to be addressed. Reconditioning or overhaul work may be indicated in slightly older pianos. You may be wanting to refinish the cabinet. Piano moving may be needed. Exact quotations guide you as you determine how you will proceed with this important family possession. My Invoice & Assessment Checklist form is utilized to organise the essential data towards a certified appraisal. 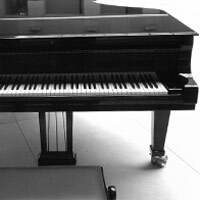 Sometimes a piano owner or third party needs a professional opinion on a piano’s condition or value. In this case, the piano appraisal information again provides a complete record of the state of the piano’s acoustic, mechanical, structural and tuning categories. Future inspection visits are eliminated when the piano’s assessment and appraisal can easily be dealt with by phone, email or fax. I am a consultant to each of my clients, with the obligation to put your needs foremost in every recommendation. You deserve the most accurate information, coupled with the customer-centred advice of an experienced appraiser.